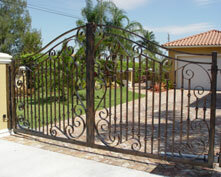 Your Fence and Gate Contracting Source Proudly Serving Miami-Dade County! Our licensed and insured friendly staff members work with you on all of your fencing needs and can build your fence, gates or precast fences & walls that best fit your home or business. We sell, install, and guarantee all of our own products. Our services also include post hole digging with our own tractor as well as dumping wood fencing debris and wood or chain link fence demolition. Please contact us today at 786-521-7674 and safeguard your property with durable and low-maintenance fences from Advanced Fence Construction, LLC. proudly serving the Miami-Dade County area for over 20 years! We specialize in Wood Fences, Ornamental Aluminum Fences, Chain Link Fences, PVC (Vinyl) Fences, Dura Fences, Metal Fences, SimTek Precast Fences and Walls as well as all types of Gates. 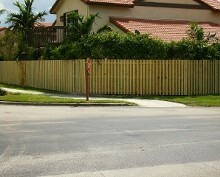 At Advanced Fence Construction, LLC a top 10 rated fencing contractor in Miami-Dade County we pride ourselves on finishing jobs "On Time and On a Budget." Our motto is, "There are no Problems Only Solutions!" Surround your home, construction site or business with durable Ornamental Aluminum, Wood, White Vinyl PVC, White Dura Fence, SimTek Precast or Chain-Link fences from our company in Miami, Florida. 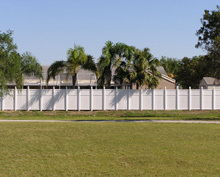 See our interview "Expert Advice on Fences" on www.FloridaHomes.com, a top site for Florida Properties; Hartford, CT , Homes for Sale In Providence, RI & Real Estate in Palm Springs, FL.